The legendary Farnese Blue diamond is expected to fetch in excess of $4 million when it makes its auction debut at a Sotheby’s jewels sale. The historic 6.16-karat pear-shaped blue diamond was passed down through four of the most important royal families in Europe: Spain, France, Italy and Austria. It will embark on an international tour and will be offered as part of Sotheby’s sale of Magnificent Jewels and Noble Jewels in Geneva on 15 May 2018. The Farnese Blue diamond comes to the market at a time when interest in aristocratic provenance is at an all-time high. David Bennett, chairman of Sotheby’s International Jewellery Division, said it was ‘difficult to put into words the excitement’ of holding a gem discovered hundreds of years ago and originated from the legendary Indian diamond mines of Golconda. ‘This stone has witnessed 300 years of European history, and in colour is reminiscent of historic Golconda blue gems such as the Hope diamond,’ he added. The Farnese Blue diamond was originally gifted to Elisabeth Farnese, Queen of Spain, in 1714 following her wedding to King Phillip V of Spain—the grandson of France’s King Louis XIV. For the next 300 years, the diamond travelled through Europe as descendants of the Spanish royals married into the continent’s most important dynasties. Its rich journey and history were uncovered through a detailed inventory of family jewels compiled by Maria Anna von Habsburg—Archduchess of Austria—the wife of Elias of Bourborn, Duke of Parma. 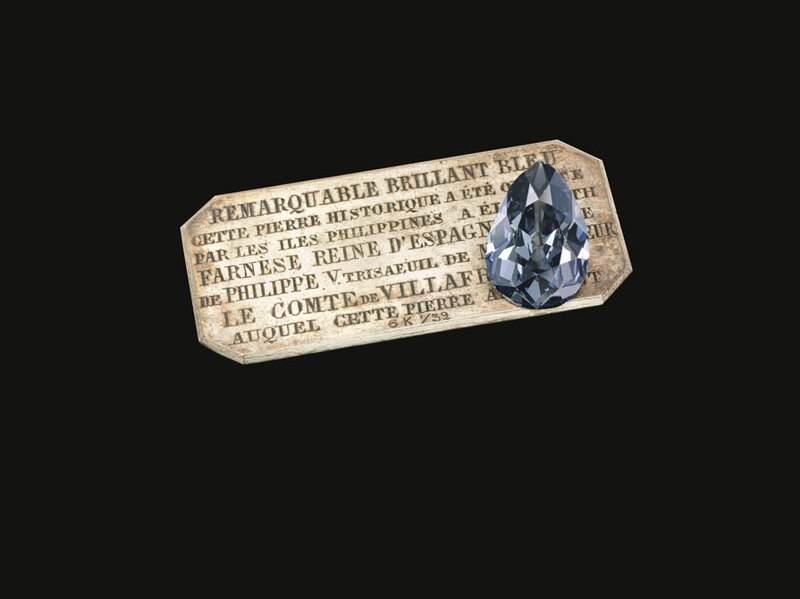 Duke Elias was the last known owner of the Farnese Blue diamond, having inherited it from his father, Robert I, after his death. Dr Philipp Herzog von Württemberg, chairman of Sotheby’s Europe, said: ‘With its incredible pedigree, the Farnese Blue diamond ranks among the most important historic diamonds in the world. If you’ve enjoyed reading this piece about the historic Farnese Blue diamond, click here to read more on Arts & Collections about a rare portrait by Sir Peter Paul Rubens that is set to shine at an upcoming Sotheby’s auction.